The Strange Case of Dr. Jekyll and Mr. Hyde was very different to what I expected. I guess I expected the length of the book to be about the internal struggle between good and evil. 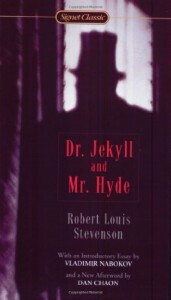 Instead, the majority of the book followed Mr Utterson, a friend of Dr Jekyll who strives to find out about the mysterious Mr Hyde. It wasn't until I reached the end of the short story that I really enjoyed it. Don't get me wrong, the whole story was wonderful, and definitely exceeded my expectations I just only really loved it when we reached the final letter from Dr Jekyll, detailing his descent into evil. I think Stevenson's exploration of good vs evil is fascinating, and I know many before me have highlighted on it. The question over whether evil is nature or nuture, is one that Stevenson almost sits on the bench for, or at least offers explanations for both sides. The evil half, Mr Hyde, only appeared out of the taking of the potion, which would suggest nuture. However, Jekyll frequently suggests, in his final letter, that Mr Hyde was part of him, the other half that he strived to open. Oddly, I have no strong belief either way when it comes to the breedings of evil, but reading Dr Jekyll's descent and fear of his other half has sparked me to question it. Even if someone is born evil, would they hate it? Would they be scared of part of themselves? Or would they not see themselves as evil? To me, this short story opens many doors to questions that are perhaps too big for my puny little brain to answer. It does, however, open those doors a crack. While not a phenomenal book, it is one that I believe everyone should read. I'm sure all of you know the gist of the story, but the actual story is different, yet similar to what you believe you know. I must admit, I haven't read a Victorian novel in such a long time. This was the first in a long list of Victorian novels that I want to read soon (hopefully before Christmas). 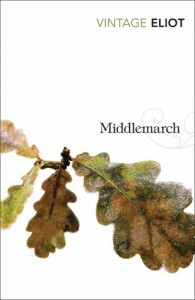 Middlemarch is a long, rambling story of a typical provincial town, with the typical marriages and deaths and scandals. People describe it as a book about the whole of society: the rich, the poor, the ladies, the gentlemen, the farmers, the bankers, the bachelors, all rolled into one. It provides a lovely oversight of Victorian towns, and Eliot creates this by intertwining three threads of plot: the change in Dorothea from a girl fascinated by knowledge to the lonely Mrs Casaubon, the fall of Lydgate due to the gossip of society, and finally the doomed love between Mary and Fred, that cannot happen because of Fred's hideously awful attempts at keeping money. If you don't know already, George Eliot is a pseudonym for Mary Anne Evans. She simply wouldn't have gotten published if she retained her actual name, hence it was published under a male pseudonym. This was also used by Jane Austen and all three Bronte sisters. I think the fact it's written by a women is painfully obvious, but adds a nice, pleasant feeling to the read. If you think of Pride and Prejudice, it's a decent length book, but when you think about it, doesn't have much substantial plot, apart from the occasional marriage and minor downfall of characters. This is very much the same with Middlemarch. I'm not saying this is a bad thing at all, it allowed Eliot to explore society through everyday life. She used the connections between people and the surrounding historical contexts to highlight how society really works. 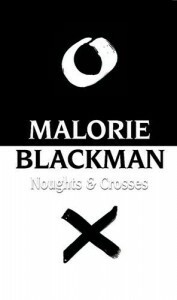 I said that it was a pleasant novel, but there is the undertones of the harsh reality of society. You have Bulstrode's dark past, thrown light upon by Raffles dying talk. You see the harshness of marriage. Dorothea changes from a wonderful girl admiring a man due to his expanse of knowledge, to a widow accepting she will never marry again, and is restricted by her late husband to never marry the man she loves. It's painful, seeing characters evolve, but it's also builds a very clear picture of society. That's why you don't get frustrated with it's length (a whopping 880 pages), because each sub-plot is intertwined so wonderfully that you feel like the society is laid out on a platter, for you to see each microcosm of the impacts of events and personalities. It does lag in the middle, with nothing much happening. Nothing substantial ever happens. You have deaths, you have scandals, but these are almost swallowed up by a move to another sub-plot, or a long, rambling speech about a part of society. To that extent, it can be seen as weak, especially after reading plot-packed, more modern books. Eliot also have the favourable help of hindsight. She wrote this between 1871 and 72, yet set from 1830-32. It allowed her to see the impacts of vast changes. 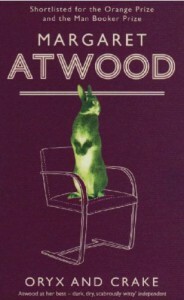 It was set in pre-Reform England, but Eliot had the advantage of living in post-Reform England. You also see her narration pop through the plot. Occasionally, you see the usage of 'I', making Eliot almost an omniscient being. She knows what happens, she knows the characters pasts, and the future of society. We also hear about the death of King George IV, his successor, and the pathways being made in medical science, but also the want to stick to traditional ways. The wide expanse of characters allows for many different views on a lot of different events and themes, making it a very contextual novel, one that enlightens the Victorian period amazingly. 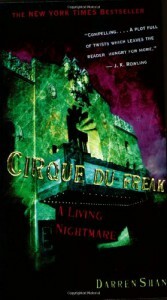 It's ultimately a realist novel, but has elements of a modern novel we know today. It's a long read, you have to put up with long rambling narration (the worst I've seen so far is in Les Miserables), but it paints a truly wonderful picture of society in the 1830s, and is so clever in it's weaving of plot threads, it's a truly enjoyable read, regardless of it's length. I do, wholeheartedly agree with Virginia Woolf's comment on it: 'the magnificent book that, with all its imperfections, is one of the few English novels written for grown-up people'. Honestly, I'm not sure why I decided to read this book. I was at a loose end after finishing Catching Fire, so I thought I'd just stroll through my school library and pick a classic. This jumped out at me. I must admit, it's advertising. I've always thought of Rebecca as a gothic romance novel, and I know it was originally labelled as that to increase sales, but ultimately? I don't think it is. It's reasonably gothic, yes, and there's a small amount of romance in there, but that's it. Albeit, it doesn't fit into any other genre, but to me, it was far more than a girl falls in love and moves to a old dark, scary house. I really really enjoyed this book. It was slow at first, and I wasn't really sure where it was going. But once you brake into the whole concept of Manderley, it get very readable. For the majority of the start of the book, not a lot happens after the wedding. We see (the new) Mrs. de Winter slowly realise she's struggling to be who she is expected to me, can't run the house, and is ultimately haunted by her predecessor - Rebecca. This is what I love about this book. Even though you get attached to the narrator, the character that steals the show is Rebecca, the dead wife who is loved by everybody. We never see her, we never have any flashbacks, but she's the embodiment of Manderley, and the novel as a whole. 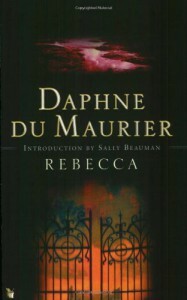 At first, I was confused over why the novel was even called Rebecca. There was hardly any mention of her in the first half of the book, and perhaps that was because it was from the point of view of the new wife. One who's trying to fit in but just sticks out like a sore thumb. The character of Maxim I found to be completely different to what I expected. I either expected him to be a Byronic hero, or a loving, doting husband. Instead, he was a bit of both, somewhere in the hazy in-between, that made him an unpredictable, but haunted character. The second half of the book however, is where it really heats up. The hope and fall of the new Mrs. de Winter was amusing, if not harsh to read. The slow revelation that there was more to Rebecca's death than meets the eye. The slow unravelling of Maxim and Rebecca's relationship and what actually occured at Manderley during Rebecca's time made it really fascinating. It was more of a mystery than a gothic romance. What I also loved was the very clever use of first person narration. You only know what the new wife knows, and that works very well. It certainly wouldn't have worked in third person, the tension, suspense and intrigue wouldn't have been there. This book was first brought to my attention through the film, and the critically acclaimed play that is the second longest running show on Broadway. I was drawn to it through it's length, I must admit. After getting through Crime and Punishment, I have a temporary aversion to big books. Don't get me wrong, I loved it, I just need a break from 500-page Russian Literature. What makes 'The Woman in Black' by Sue Hill different is that it's written as a traditional Victorian gothic novel. Typical ghost haunting, terrified lawyer, dreary house. I'm going to say right off, this was an odd read. I don't know if it's because it was so much shorter than Crime and Punishment, it just seemed lacking in some way. It was well written, the tension was there for the majority of the novel that you'd expect from a gothic novel about a ghost. There was some beautiful passages about the gothic house and it's surroundings, and I completely commend Sue Hill on her writing. The problem is that it's a Victorian gothic novel that isn't a Victorian gothic novel. I was painfully aware that it was written in the style of one, and to me, that changed things. It was very stereotypical, very 'following the masses' of gothic literature. Don't get me wrong, she created a level of tension. The mysterious rocking chair, and the mad, terrifying cries of a child drowning makes it seem horrible, and you really connect with Arthur as Hill describes it magnificently. It's got a level of suspense, as you don't know what's going to happen, who the woman is, or the bac kstory behind Mrs. Drablow's family. In that sense it's a good novel. The problem? It could have done with an extra 100 pages. Kipps leaving Eel Marsh House was too abrupt for my liking. It was sudden, and I certainly expected him to return, to even confront the ghost. Instead, we find out a very rushed back story, one that is both heartbreaking, but not explored really. I got the sense that the author ran out of steam half way through, killed off all tension, and tried to finish it as quickly as possible. The ending is not all bad though. Although rushed, the epilogue removes me from disappointment. It's a sense of finality. A harrowing finality, but a conclusion to the story. It's sad, but it ultimately ties in the confusion about the difference in his fiancée and his wife we read about at the start of the story. After the abrupt ending of his time at Eel Marsh House, you see how the story ends, how it ultimately connects to him once he's left, and returned back to his normal life. It's certainly not a nice ending, but it was by far the best part of the book. 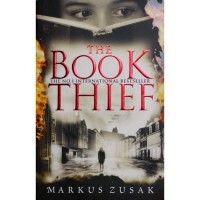 It redeems itself, it rises up from pure disappointment to end on a promising note, one that outshines much of the novel. 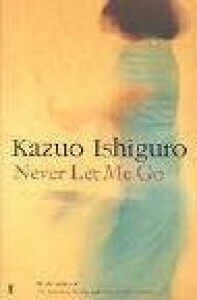 Would I recommend reading it? If you want a relatively quick gothic read, with a simple story line? Then I would suggest reading it. It does keep you gripped for the most part. If you want to read a very satisfying, dark, well developed gothic horror, I'd recommend Frankenstein any day over it. It's longer, but the sheer darkness of it is astounding. 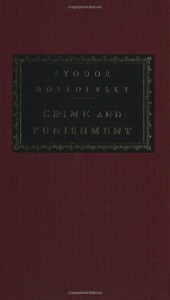 Dostoevsky's Crime and Punishment: A Rewarding Mammoth of a Book For me, Crime and Punishment was my introduction to Russian Literature. After hearing multiple references to it in other books and TV shows, I knew I had to give it a go. It was also the only question I got wrong on a 'Who wrote these classic books?' quiz shared in my school bookclub's Facebook page. And what I found was not what I expected. For a quick synopsis, it follows the thoughts and moral debates of Raskolnikov, a young student who murdered a elderly pawn broker and her sister. It's frequently ranked highly on 'Top 100 books' lists, and is a lovely 551 pages of deep, philosophical thinkings, debates and self justification of a murderer. You might be thinking this is going to be terribly hard to read, people often pair it with 'War and Peace', but honestly, it was very, very readable. My translation (Pevear and Volokhonsky) allowed it to be clearly old fashioned in it's sense (obviously), but also made it unbelievably readable. I'm not going to lie, it was a struggle in places. There, to be honest, isn't that much plot. It's more Raskolnikov's internal debate over whether to turn himself in, and whether it was 'right' to kill the pawnbroker, comparing himself to Napoleon many times. The names, for me, were also a small struggle, Dostoevsky constantly jumps between their last name, and the combination of their first/middle names, oh, and nicknames. This confused me a certain points, and I'd definitely recommend having a character list next to you for the first half! The character of Raskolnikov, is undoubtedly, one of the most well developed characters I've ever read about. Why? The whole book is about him, but not in the sense that I know every little bit of his childhood. While you read, you and he almost become fused, where Dostoevsky describes his thought processes as such that you feel like you're reading his actual mind. You feel like you're him. This is why it's so readable. Many books I've read focus on problematic situations, and follow a character's mindset about it all, but I've never read anything that does it to this extent. It's a fusion between reader and character that I've never experienced before. While I've prattled on a bit about Raskolnikov, I should mention the more secondary characters, all of which have their own backstories, and you even feel like you understand them, even though they're blatantly secondary characters. Svidrigailov, I personally found to be really interesting. Some of his monologues are amazing, and really capture what it's like to be almost obsessive over someone. One criticism I do have, and what I've seen others mention, is the epilogue. It starts out well, detailing Raskolnikov's trial, but it ends in a place that seems too nice. After you've read 500 heart-felt pages of self-hatred and confusion, you end in a place that seems too happy, and seems too calm. You no longer hear the confused thoughts of Raskolnikov, and it ends on a subdued but promising note. I'm not saying it's awful, nor is it in anyway bad, it's just too different in my mind from the rest of the book. Ultimately, Crime and Punishment is a book that grips you hard and doesn't let go until you've heard all the story. I even abandoned homework for this book. It's a hard, a times confusing book, but by far it is the most rewarding book I've read, the most beautifully complex book that pushes you so much into another person's psychology. It definitely has pushed me to read more of Russian Lit, even if it is a fraction of the greatness of Crime and Punishment. 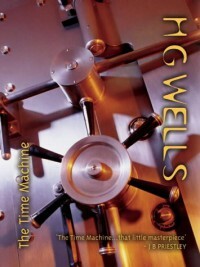 HG Wells' The Time Machine: Politics and Time Travel Mixed After reading The War of the Worlds over the summer (In my 'classic science fiction' phase), I knew I loved H.G. Wells', but it wasn't until I read 'The Time Machine' that I really realised how much. If you're not a fan of different futuristic societies, then you probably wont like it, but for someone studying Sociology, it really was a fantastic read. It's also considered to be the novel that kick-started the concept time-travel through a vehicle (Doctor Who, woo!) and is actually where the term 'time machine' originates from.The general plot line is that the 'Time-Traveller', a mad scientist essentially, creates a time machine and goes far into the future, expecting to understand how humanity has grown and developed since the Victorian era. What he didn't expect to find, was a completely different society, where humans had split off into two distinct creatures - the Eloi, a society of small, elegant, childlike adults, and the Morlocks, a horrendous ape-like species that have a severe aversion of sunlight. The Time-Traveller loses his time machine, and consequently through his hunt for it, learns the ins and outs of the new human society. I use the term 'human' very very lightly, the society we know today, and what Wells knew in the late 1800's, is practically diminished, with any form of writing disappeared, the language completely changed, and the whole mindset of humans gone. Instead, there is joy, and happiness, with the Eloi, much like William Blake presents as innocence in his Songs. It's very, very interesting.What I found most interesting however, was Wells' movement of Marxism (which originates 50 years before the novel was published) from a purely ideological view to one that adapts human physical characteristics. It is essentially Wells warning us of what will happen if Capitalism continues.The Eloi represent the upper class, whose wealth has turned them into lazy, weak and ultimately dependent creatures. The Morlocks, were pushed underground for so long that they become their own species, nocturnal and able to handle light. Somewhere along the line, the Morlocks run out of food, and start hunting their superiors, who are now defenceless due to their own idleness.The Time Machine, for me, marks the clear start of science fiction, especially the dystopian fiction where the world is 'dying'. It's fantastically written, with the narrator actually taking a back seat, and instead is listening to a fantasy-sounding story from a mad scientist who claims he's just gone into the future. Ultimately, he ends up believing him. Why? It sounds believable, especially in Victorian times when the difference between the upper and working class were so distinct. It's oddly a simple read, and short, but holds so much creation in it, that it's a truly ingenious. 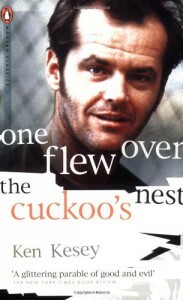 Review: One Flew Over the Cuckoo's Nest I'd heard this referenced many a time in other books and TV shows, so for me, it was something I knew I had to read. The idea of a whole book set in a mental asylum, based off the author's use of drugs and working on a psychiatric ward, it sparked my interest to say the least. I'm not going to lie, I was slightly apprehensive about reading it. Why? I wasn't sure if I'd like it. My dislike for the unreliable narrator really put me on edge of odd narration, although I knew it could be used to make a book brilliant, I knew it also could break a book for me. But still, I persevered.It took me a while to get into it, mainly because I was stupidly busy at the time, but I also found it started slightly slow. The narration, I didn't find a problem, it added a twist that I think was needed to get really inside the minds of the characters. I think the characters was the exact reason it took so long. You're immediately introduced to a set of characters who you know are going to be odd, and it's not until about half way through the book do you start considering them actually as people. Maybe I did too much research on the book before reading, but to me, my mind was constantly wary of their mental state, which I knew was the wrong way to approach it. By the time you start seeing the 'revolution' in the book, that's when the characters come alive. 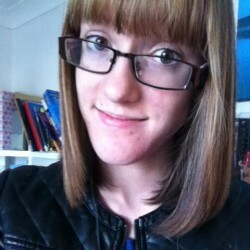 I felt a personal link to Billy, who suffered from a stutter much like I do. It was refreshing to see a character who was more than his stutter, nor was it faked or somehow used as a coy. It was simply someone, with a stutter, who albeit was mad, but still just a guy.The narrative can be slightly confusing at times. The unstable mentality of the narrator (The Chief) means it drifts between what's happening on the ward and his past, very effortlessly, with no warning or even a paragraph break. After a few occasions of this happening, my mind got used to it, and I found it to be interesting. Kesey was able to draw parallels between the happenings in the ward, and the tribe that the Chief originated from, which kind of took it away from being an outlandish mental asylum to an actual community of people.The ending, was shocking. It was unexpected, and to be honest, broke my heart. You expected it to end in joy, after so much freedom and escapism with the party, but the fall of McMurphy really gets to you. The downfall of Nurse Ratched's power and the breakdown of the war in the end gave the book a nice finality, while the story of McMurphy was left at a very poignant end, where you see just how horrible the mental institutions can be.Overall, Ken Kesey's book was a really joy to read, and proved to me that odd narratives can be equally amazing as they can be damning. It's a different read, one that I doubt I'll find anywhere else. If you liked the CHERUB series, this is a really interesting way of continuing it. Really interesting concept. 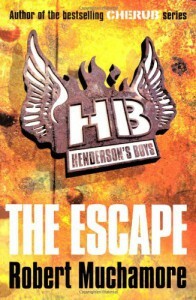 Definitely one to read if you like Young Adult books. Really enjoyed it. 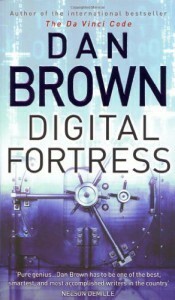 Definitely lived up to Dan Brown's other works. If you're at all into computers, it's also a really good read! 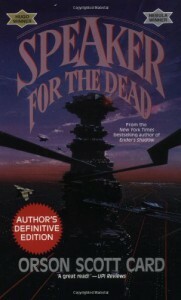 I just finished this and wow, it is definitely as good as Enders Game. I was at first very wary of reading this. People had said it was vastly different from Enders Game, which it was, but I battled on, mainly because I love OSC's writing. Although vastly different, Ender's character is just as good. His journey is almost inspirational, even though he was the cause of the Xenocide. I did find it slightly confusing at times, especially with all the Portuguese wrapped into it. 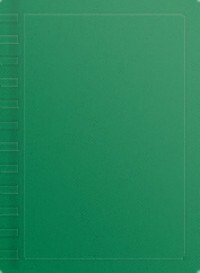 Yet once you got past half way, it truly blossomed into an amazing, philosophical book about what we consider 'human'. I will definitely continue with the rest of the series. 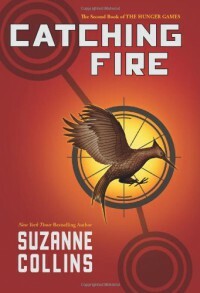 The whole plot line and society the book is built in is very good. It really grips you. However, the ending disappointed me, mainly because I just wasn't expecting it, and I am yet to persevere with the next books in the series because of the ending. Maybe one day though.